Chalet in a small village of Savoy with breathtaking views of the Tarentaise Valley from your balcony. Beautiful natural environment for nature lovers. 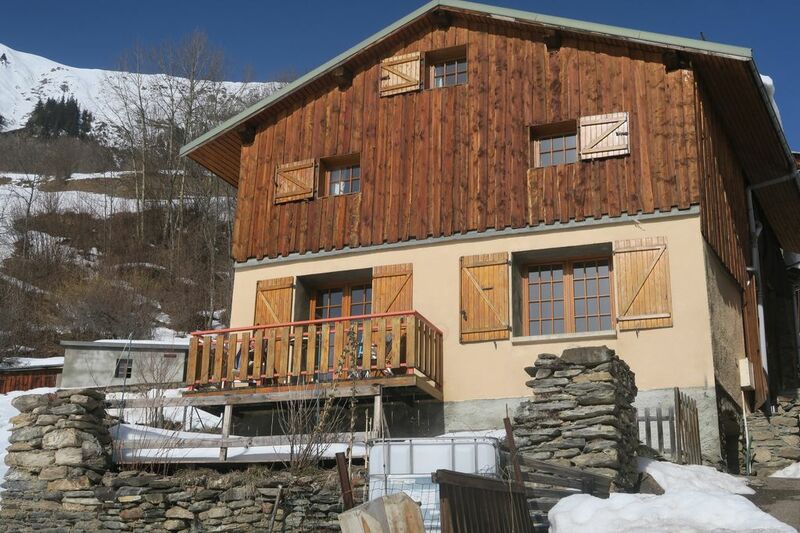 Traditional independent chalet of great capacity; type Savoyard cottage facing south in chalet perched! Hiking, forest, discovery of fauna and flora, typical village of Savoy. Many tracks of Walks, average and high mountain. Ski 20 minutes from the Chalet on the 3 valleys (Menuires, Méribel, Courchevel, Val-Thorens) from Saint Martin de Belleville. mandatory snow chains for this rental. Near the national park of Vanoise ... in the heart of the field of the Three Valleys. At 1H 30 from the Mt Blanc Massif. 1/2 hour from Annecy. 1/2 of Italy Very quiet and peaceful place. Ideal rest and quiet holiday in the mountains, ideally located in a preserved environment! No independent bathroom in the cottage. A shower in a floor room. a toilet in another room and in the cellar of the chalet.